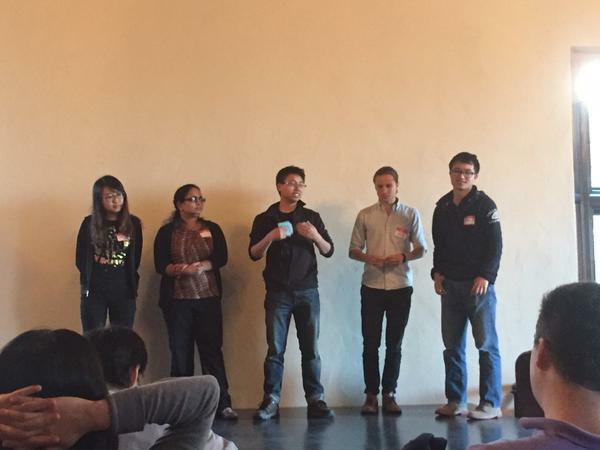 Labii is going royal at today's Stanford 3DS hosted at Startup castle! Our scientific paper commenting and rating platform has been selected as one of the top 3 ideas that are most likely to be successful! We will chat with entrepreneurs, investors, and mentors in the next 48 hours. Stay tuned! This weekend, the Labii Team will attend the 3 Day Startup Program held at Stanford University, May 15 to 17. 3 Day Startup (3DS) is a 72-hour on-campus workshop where students can gain entrepreneurial skills through a dynamic learning-by-doing experience. In the extreme hands-on environment created by the program, Labii team members will explore diverse aspects of social entrepreneurship and brainstorm ideas that bring innovation and transformation to the academic life of researchers.